David and Danielle Tegtmeier are a delightful couple in their mid-twenties with a mutually reinforcing passion for fine wine. Both are Kansas natives who originally met while students at Kansas State University (KSU). Their ambitious new estate winery, Liquid Art Winery, will provide a unique venue for events in Manhattan, Kansas and the Flint Hills. But this is more than just the story of a winery. It’s an inspiring odyssey with chapters in Colorado, California, France and, of course, Kansas. But it begins with a teenager experimenting with Welch’s concentrate in a basement. Influenced by his uncle, who co-owns several vineyards and has a history in the wine industry, David became interested in winemaking at a young age. He started making wine when he was sixteen years old using milk jugs, grape juice and bread yeast. His parents were supportive of his interests, despite arriving home one day to find that the milk jugs had exploded, spraying fermenting grape juice all over the walls and ceilings. While attending KSU, David studied abroad at a Bordeaux winery in Saint-Emilion. There he made an important discovery: the soil typography in the Flint Hills region is similar to Bordeaux and Burgundy. Though, geographically worlds apart, these regions of France and Kansas share an underlying limestone layer, with clay soils and abundant flint. After realizing that his home state has ideal soil for grape growing, he knew he would one day return to build his own estate winery close to family, friends (and great hunting.) During his freshmen year at KSU, he met Danielle, who was majoring in Special Education. As their relationship became more serious, David convinced Danielle to change her major to Marketing and follow him to California so they could merge their careers — and lives — together. 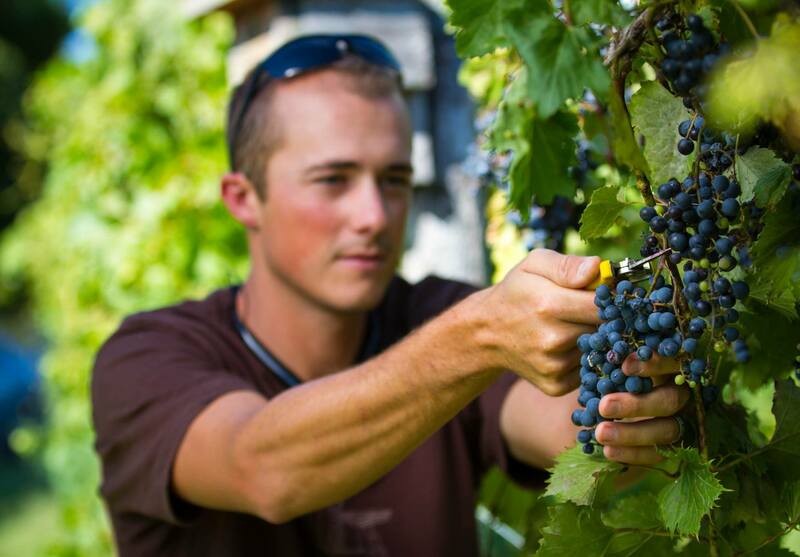 After completing general education requirements at KSU, David went on to earn a Bachelor’s degree in Enology from California State University at Fresno. 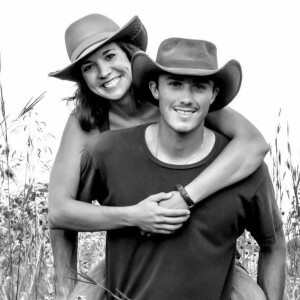 Danielle graduated from KSU during June 2011, and weeks later, they were married. Danielle moved to California while David finished his last semester at Fresno State. She landed a marketing position with E&J Gallo and was one of the top performers in their Management Program. After David’s graduation, he was offered a position at a hard apple cider company in Yakima, Washington. On the day that Danielle was to resign her position at Gallo and move to Washington, her manager told her that she was to be promoted! In order to keep her, Gallo found a position for her in Washington. The Tegtmeiers were in Yakima for about one year. During that time, David designed and established 11 acres of apple orchards. After the co-owners of another cider company, Wild Cider, met David at a conference, they enlisted his help with their cider start-up in Firestone, Colorado. David and Danielle moved to Colorado where David used his cider making and facility engineering design skills to play a significant role in getting Wild Cider on its feet. 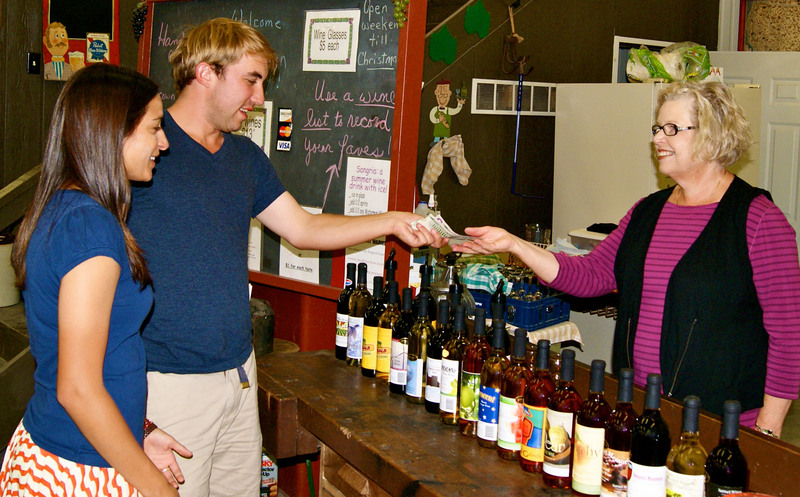 (Check out Wild Cider’s Facebook page and website to see their incredible facility.) Not only did he create all their cider recipes, but he also designed canning lines, packaging, and their entire processing facility and event center. ‘I learned a lot,” David admits in his typical quiet, humble manner. Although the Tegtmeiers had just purchased a new home in Colorado, returning to Kansas was always in the back of their minds. The couple’s 5-10 year plan was always to move back to Kansas to start an estate winery. But after David found this listing for a ‘hunting property” near Manhattan, he could not get the dream of a Kansas winery off his mind. His research convinced him that the site could be the perfect location for the couple to build their vision. The next day, they drove eight-hours to analyze the topography and take soil samples. What they found was, indeed, the perfect site. David and Danielle quickly made a decision that their five year time frame would need to be moved up considerably. They bought the parcel and set to work in March of 2014. In addition to winning a $10,000 grand prize from K-State’s ‘Launch a Business” program, they underwent an eight-month rezoning process with Riley County. In September 2014, they were approved to build an event center large enough to host up to 375 people. Around this time, they sold their Colorado home and moved to the Flint Hills to work full-time on the winery. Dave doing some hand harvesting. The 157 acre Kansas estate has beautiful south facing slopes. After clearing over 100 acres of trees, it now boasts stunning views of the Flint Hills with Manhattan visible in the distance. There is a 50 acre wooded wildlife preserve on the North facing slopes. Ripping out that many acres of trees was, itself, a Herculean task. ‘I spent months on a dozer,” says David with a knowing grin. Additionally, they installed two miles of deer fencing around the property, as herds of both deer and elk have been seen there. David ripped the soil in two directions to condition it before leveling the vineyard. They also spread 1,300 pounds of grass seeds as a cover crop. ‘David is very particular about everything checking in the vineyard. So we spent at least a month just laying out the vineyard to make sure that all the vines and posts would check with each other. On these hillsides, that’s a difficult thing to do. And then, as if 7,000 vines wasn’t enough, we planted 150 rose bushes,” laughs Danielle. Rose bushes are a traditional way to get a forewarning about potential diseases and pests in the vineyard since they tend to be more susceptible than the vines. The property has about 100 acres suitable for planting. Their first vineyard was planted in February and currently comprises ten acres of the robust, limestone tolerant SO4 (Selection Oppenheim 4) rootstocks, which will have Vitis Vinifera varieties grafted on starting in the spring of 2016. Their goal is to add ten acres at a time, with up to at least 50 acres of grapevines. ‘Everyone tells me I’m crazy — but they’ll grow,” says David about the grafting of V.Vinifera. He is confident in his viticultural skills, the vines themselves, and in the ideal conditions his land offers. That’s why Liquid Art is growing of the more popular Vinifera varieties as opposed to the French Hybrids typically grown in the Midwest. ‘The next planting is 2017. Save the date,” beams Danielle. The planting will undoubtedly be a party unto itself. Their first planting included a celebratory taco bar and margaritas for all who helped out. An architect’s drawing of the event center at Liquid Art winery. The Tegtmeiers realize their plans are quite ambitious. But with passion, energy and teamwork as their driving force, it is easy to believe they have what it takes to make it happen. Even tons of limestone and flint rock doesn’t daunt them. ‘Normally, trellis posts can be installed relatively easily. But there are a couple of posts that took 2 hours each, requiring drilling through solid rock.” Dave relates his labors, his face tinged with disbelief. ‘There are only about 800 more of those that we need to install yet,” he says with a sarcastic laugh. He’s carefully placing the rocks in the vineyard rows as a heat sink to help in creating a beneficial vineyard microclimate. In fact, David is clearly excited about the flint rock abundantly found on his property. Because it rarely occurs in the same soils as limestone, he’s convinced the flint will add that sought after minerality to his wines. 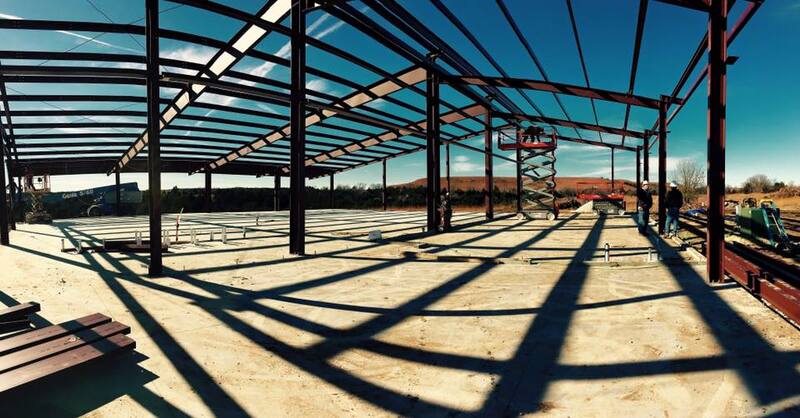 The event center will feature a 24 foot ceiling with balcony overlooking the main floor, catering kitchen, bride & groom suite, and of course the winery and tasting room. There will be several lovely outdoor areas including the Vineyard Knoll with amazing views; the Oak Grove Amphitheater which will host weddings, concerts, etc. ; a gazebo; and a terraced patio with a fireplace adjoining the event center. ‘We wanted to make sure there were lots of little private spaces where people could get away from the crowded tasting room and enjoy their wine out in the beauty of nature,” David explains. 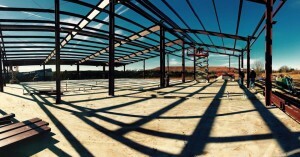 The winery, which is currently a part of the event center, is considered as ‘Phase One.” As the vineyard grows into full production, a larger wine production facility will be built away from the main event center. Initially, Liquid Art Winery will sell their wines exclusively from their tasting room. The end goal is to increase production to at least 10,000 cases and to go into distribution. They will also produce some hard ciders, which will be available on tap in the tasting room. David is contracting with several Kansas grape growers so that he can continue to make wine until his own vines are producing. He is also offering consulting on viticulture and enology and winery management to local vintners as well as teaching Enology classes for the VESTA program offered through Highland Community College in Wamego, Kansas. It’s obvious they are both loving this incredible challenge. Regardless of the hard labor and challenges they face, their passion and energy are palpable. They remain driven by the bigger picture of soon producing world class wines here. It will certainly be exciting to participate — and taste — as the creative visions and dreams of this dynamic duo soon become a delicious reality. Leigh Ann Fulkerson is a viticulture and enology student participating in the VESTA program at Highland Community College.